Today is National Pizza Day. Did you know that? I didn’t but I see absolutely no reason why the glorious, cheesy, deliciousness that is pizza shouldn’t be celebrated throughout the nation. 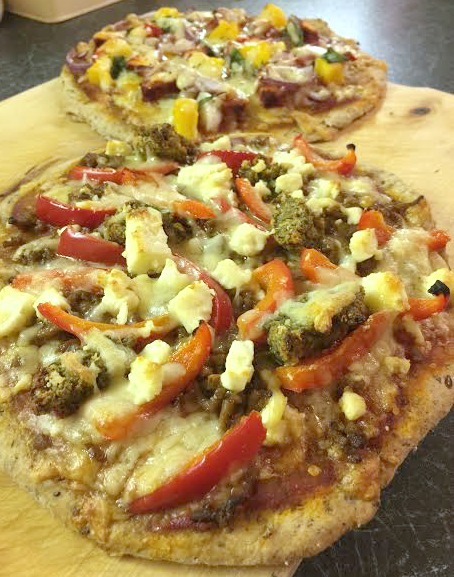 To acknowledge such a awesome dish I’ve created three more unusual pizza recipes, combining my love of pizza with my love of other world cuisine. 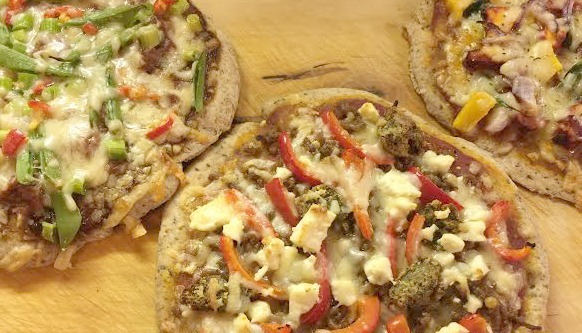 For the base, I’ve used Sweetpea Pantry’s Playful Pizza Dough Mix. Sweetpea Pantry use only wholegrains in their mixes and this one is also packed with chia and flaxseed. You can find out loads more about the Sweetpea Pantry range in a previous post. 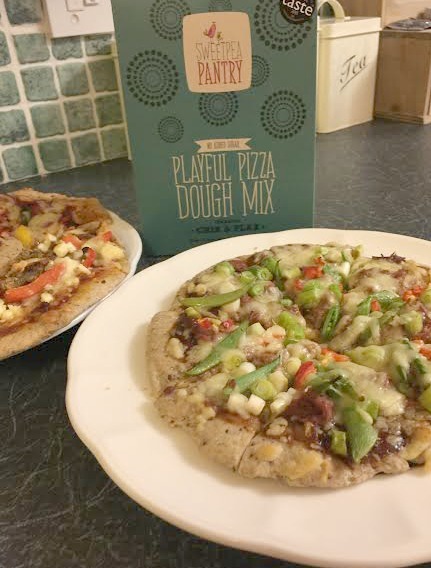 If you’d like to try their pizza mix for yourself check out my giveaway below. To serve, drizzle over some yoghurt mixed with chopped fresh mint and why not use houmous as a dip? I hope you enjoy these slightly more unusual pizza ideas. For more recipes, check out my weekly food feature.